The singer has re-recorded the track - which was a number two hit in 1988 - on a new album to be released later this year. Goss has teamed up with a 40-piece orchestra for his forthcoming album Life You Imagine, after becoming a huge star with his Las Vegas shows. The singer - who was in the group with his twin brother Luke - said of the new version: "It's almost how it was meant to sound all along." London-born Goss, 44, is now based in Los Angeles and has been named one of the city's "most eligible bachelors". He has teamed up with producer Ron Fair, who has worked with acts such as Christina Aguilera and the Black Eyed Peas, for the album which is being released by Decca. Goss said of the album: "After nearly three years of making the album with Ron, and spending so much of my time singing & performing abroad - it's truly an amazing feeling to be coming back home with such pride to share the music with everyone. My wish is that it becomes the tapestry of people's lives." 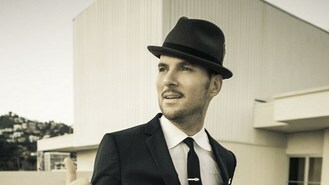 Fair said: "Matt Goss is true British pop royalty and his album is 100% pure heart and soul." He will launch the album with a show at London's Cafe De Paris on June 26 and the album will be released on October 7.